Magnetizers provide the right amount of energy to produce the desired current into the magnetizing fixture. The fundamental operation of a magnetizer is to charge and store energy until the magnetizing process starts. When it does, the power circuit is closed on the coil and the energy is then discharged in the coil. Plug-and-play ease. Customized options. The highest energy density on the market. Versatile magnetizers are coveted in industrial production and in research labs, and everywhere in between. 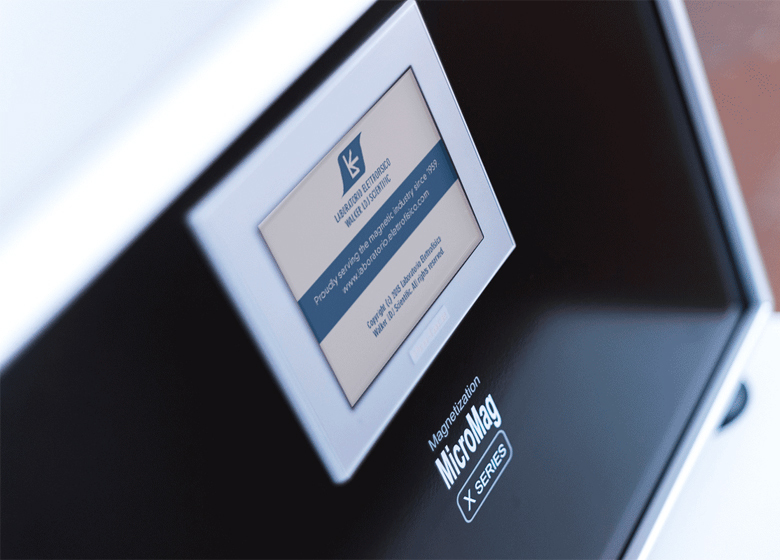 The iMag MicroCal Magnetizer is equipped with a touchscreen HMI panel that allows the user to set up the necessary parameters and track the status of a process. 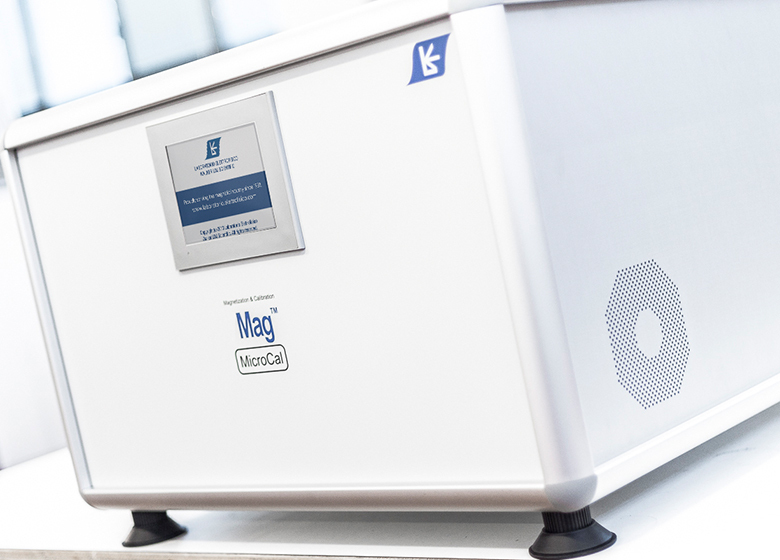 With precision control options and high accuracy, iMag MicroCal is a frequent choice for both industrial production and lab research. Ability to measure magnetization/demagnetization by means of the fluxmeter or any other RS232 interfaced instrument, such as gaussmeters, dynamometer, etc. MicroMag is a low energy magnetizer designed for small coils. The internal capacitors can be adjusted to emit a total energy of up to 2700 J 3000 V. With the right configuration of capacitors in a series, the MicroMag can yield up to 3500V. It can be set to either magnetize only or to demagnetize only and can be connected to 2 magnetizing fixtures. This model also features touch screen display with HMI interface. Safer operation is built into the design. If a panel is removed or the front or rear doors are not securely closed, the MicroMag will not operate. 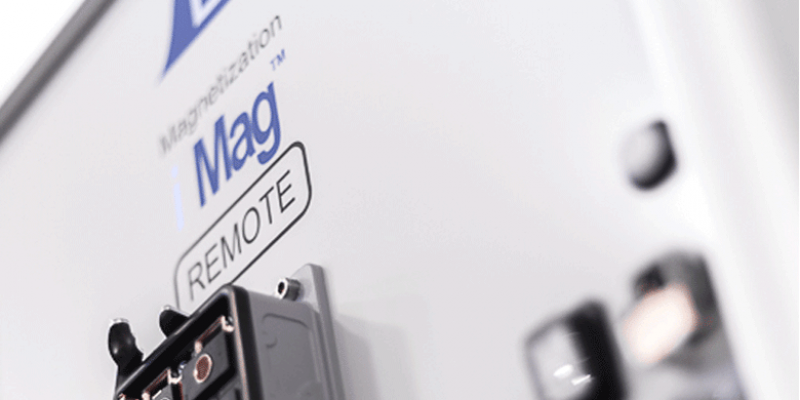 The iMag Remote magnetizer means never having to shut down a production line in order to change the settings on your magnetization equipment. Designed by Laboratorio Elettrofisico with mass production lines in mind, it’s the perfect solution for hard-to-reach places. Looking for the highest energy density (Energy/Volume) in the market? Check. Once you set it up, the iMag Remote requires no further in-person adjustments. Just take out the remote control when you need to change the settings, the magnetizer goes from a shorter to wider pulse in only a few clicks. If only your TV remote worked like this. Meet the all-new i Mag Master Magnetizer. This high-efficiency magnetizer was designed for complex applications where high fields and/or large amounts of material have to be magnetized. Achieve the exact pulse with a wide range of configurations from low to high voltage and low to high capacitance. 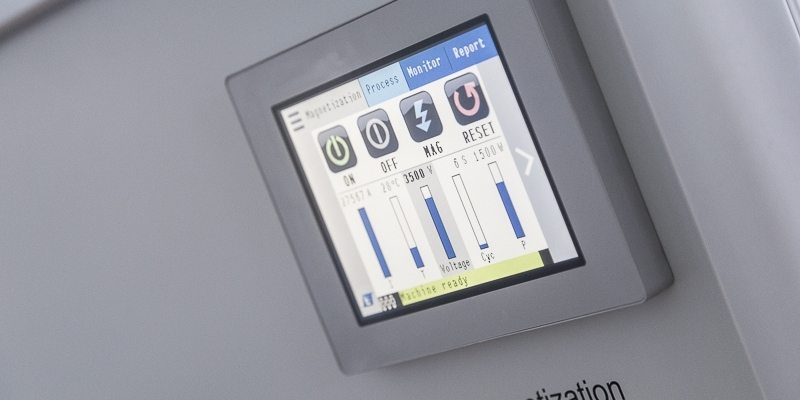 The magnetizer also features several discharging outputs for maximum flexibility.